CARL FRAMPTON has accused big fight rival Josh Warrington of being a dirty fighter with his head and warned: Put the nut on me and I’ll give one back. 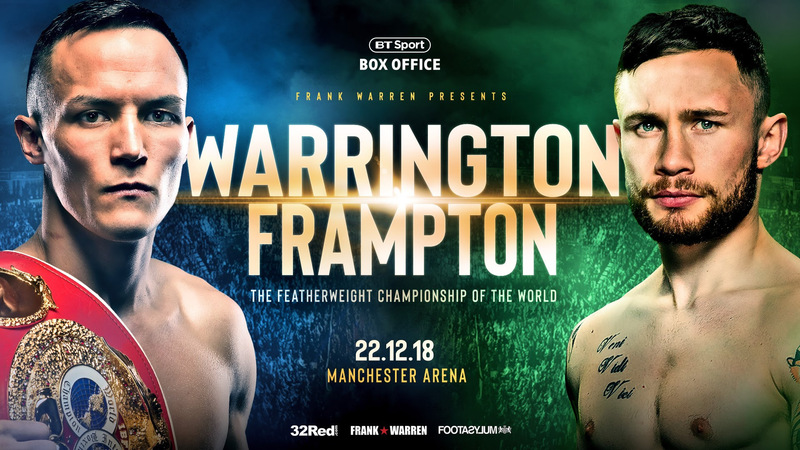 Warrington (27-0) makes the first defence of his IBF world Featherweight championship against the Belfast great at Manchester Arena on Saturday December 22. Two-weight world champion Frampton is ready for everything Warrington brings following his upset world title win against Lee Selby. But he believes the Yorkshireman can be crafty at bending the rules, saying: “Josh is fit, he is determined, but a bit dirty with his head because he comes bulling forward at times. Frampton (26-1) is likely to call for the referee to be strong and voice his concerns when the rules meeting is held on fight eve. Frampton, 31, has been in camp at trainer Jamie Moore’s gym for several weeks, but started sparring last week – six weeks before the sensational showdown that the boxing world cannot wait to witness. He added: “I started sparring last week and it terms of fitness and sharpness for the first one I was pleasantly surprised and very happy. “The real hard stuff starts now and the graft picks up, but I enjoy it and I enjoy sparring. “I’m looking forward this fight. It is going to be an exciting fight and it’s one that has got me excited. “It’s for a legitimate world title. It’s between two guys in their prime. “Josh is full of confidence at the minute. He is coming off his best win against Lee Selby. I am on the way back and had three good wins since losing to Leo Santa Cruz. “I need to put in a good performance to win this fight and I am not overlooking him in the slightest, but I have fought and beaten better fighters than Josh. Mark Heffron will now fight WBO Interim world title challenger Liam Williams in support of the main event, while Belfast’s blue chip featherweight prospect Michael Conlan (9-0) takes on former commonwealth champion Jason Cunningham (24-5), world flyweight title challenger Paddy Barnes (5-1) and unbeaten Light Heavyweight contender Steven Ward (9-0) also feature.